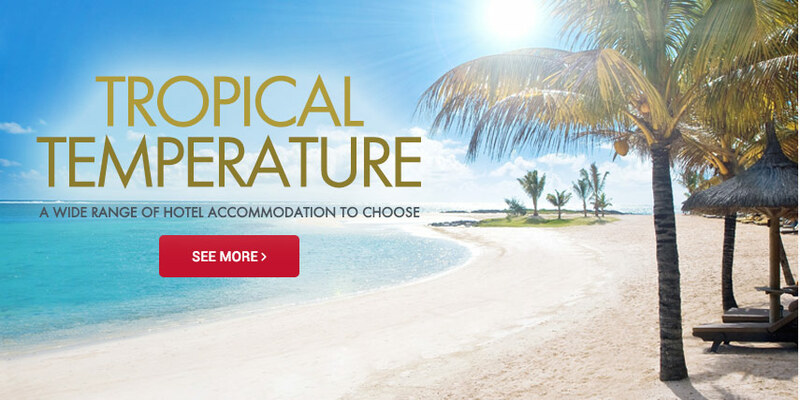 You have already made the right choice by choosing Mauritius as your holiday destination - a true paradise island for those of you seeking for a tropical temperature, sun-soaked beaches, warm turquoise water, clean and safe environment with a wide range of hotel accommodation to choose. However, choosing the right hotel can be confusing at times, especially when you have a list of an eclectic range of hotels. Mauritius consists of infinite choices of accommodation types, ranging from luxurious, budget, all-inclusive, adults-Only, family friendly, rustic eco-lodges, honeymoon and business oriented hotels. The first step in choosing your place of accommodation is knowing what you are looking for. This is why we highly recommend that before booking, it is important to check and learn about the different types and facilities the hotel offers, its location, the hotel theme; if it’s more family oriented, or more targeted for a younger crowd while considering all these key criterias which are important to you. Choosing hotels from reading hotel reviews is simply not enough and you cannot realistically make your choice solely based on a personal experience. Hence, it becomes crucial to search for hotel reviews and ratings done by professional companies from the tourism industry or from other official neutral-objective organisations. Mauritius is widely known as the idyllic tourist destination dotted with luxurious and high standard of hotels along with impeccable hotel services and hospitality. Most of the luxury hotels in Mauritius are nestled in an exquisite location, each having unique features depicting a tropical island feeling along with the lush green surroundings. Ideal for the most discerning travellers and holidaymakers, these luxurious hotels are all about providing top luxury at its best, service par excellence and a top notch accommodation where you can settle yourself comfortably. Basically, luxurious hotels have lavishly-designed accommodation featuring garden, sea or golf views suites, and private pool villas - all of which are well-appointed. Most of the luxurious hotels and resorts have reputed and comprehensive golf courses and spa treatments. They provide 24 hours butler and concierge services, and some even offer complimentary shuttle services. 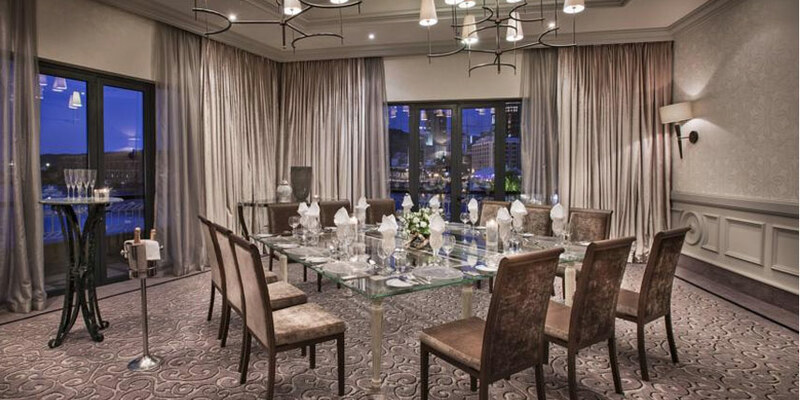 With a wide range of facilities and amenities unlike other hotels, the luxurious hotels cater an eclectic range of cuisines by its reputed restaurants. These resorts around the island offer you access to golf courses along with a multitude of facilities in the most beautiful settings. Most of these golf resorts provide its guest with complimentary golf packages, including green fees, range balls as well as various golf resources. Additionally, several of the golf resorts offer learning opportunities to apprentices through integrated golf academies. Exceptional golf resorts offer you several golf courses equipped with premium amenities in a magnificent tropical backdrop; ideal for nature lovers who would love to play day in and day out. Golf courses such as at the Four Seasons Resort Mauritius at Anahita offer the Ernie Els-designed championship golf course which consists of 18 holes; it is considered as one of the leading golf courses in the Indian Ocean. Enjoy complimentary golf and daily beginner’s golfing initiation with a pro during your stay at the resort. 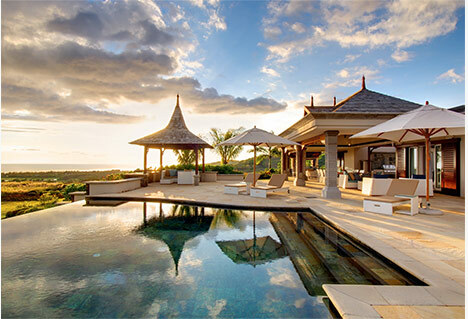 Another example is the Shangri-la’s le Touessrok Resort and Spa which offers a 38-hectare of golf course located on the southern half of the Ile aux Cerfs Island. 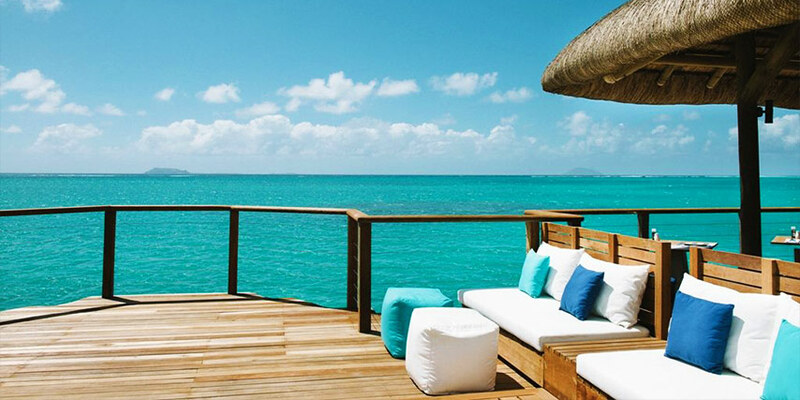 While visiting Mauritius you will have to choose between renting a private villa or staying at one of the many luxury hotels and resorts that offer on-site villa accommodation. Choices depend on whether you prefer the full-service nature of a hotel, or the relaxed privacy of a villa. Today, more and more hotels are investing on refine and top notch villa accommodation that mirror the concept of a complete private stay endowed with comfort and services of a high-class hotels. This concept attracts more VIP clients who want to spend some private moments with their family and friends in total intimacy with all the high-end amenities and attentive service of a 5 star Hotel. The key highlights of these villas are private, intimate setting, alongside the high standard of accommodation with an exquisite interior décor, and inviting private pool. Boutique hotels portray a new standard of chic and elegant, yet sophisticated stay for holidaymakers. The most essential features of boutique hotels are authenticity and individuality; they are generally not part of a chain and provide interesting, unique services. Its set of attributes also includes a personalised service, a cultural or historic aspect, a trendy design and cosy social spaces such as living areas, libraries, game spaces, with social events. These factors contribute in offering visitors a more personal and enriching experience. Small and cosy as they may seem, the boutique hotels are designed to add the right amount of individuality and setting in a thoughtful ambiance. High-quality materials, designer furnishings, and quirky touches are often used to create a memorable visual experience, while bespoke amenities like a generous pillow menu, plush baths, or handmade organic toiletries contribute to an atmosphere of comfort and luxury. Mauritian boutique hotels have diverse gastronomic options sampling the culinary fusion with the traditions of the several cultures present here. The goal being is to give you a taste of the famed Mauritian hospitality; the hotel staffs are always attentive to your needs, without ever being overbearing. These boutique hotels are very conducive in providing a wonderful sense of being in a whole different world. Though Mauritius might be taken as one of the luxurious holiday destinations, yet you don’t have to spend wad of cash to enjoy a vacation in this paradise island. With an eclectic range of hotels on the island, it is now possible than ever to make your dream vacation a reality. Vacation means relaxation, comfort and enjoyment hence it is very obvious that everyone wants to stay at a place that can provide all these at a reasonable price. Finding inexpensive yet luxury hotels is not a tough job anymore. However, with a proper research on the internet you will always have a great deal of choices. 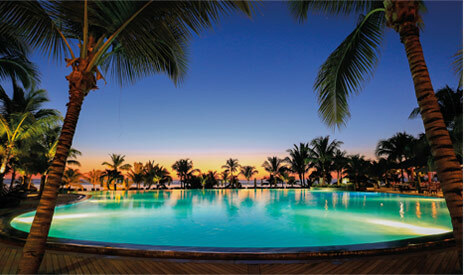 If pocket-friendly hotel is really what you are seeking for, then Mauritius has a vast range of 3 to 4 Star resorts or hotels usually set in a tropical garden near sun-drenched beaches. 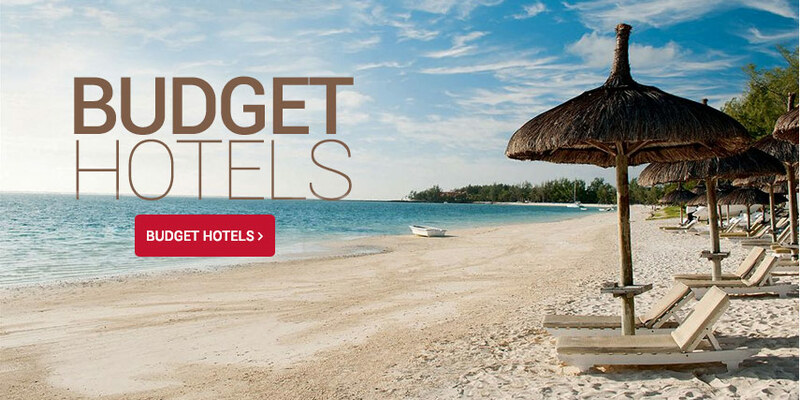 Budget hotels in Mauritius are endowed with cosy and comfortable rooms which come along a range of room amenities. Hotel facilities include restaurants, bars, swimming pools, spa and pool services. You also have the option to choose from a range of water and land complimentary activities. In addition, for kids there is always children’s club where they can spend fun moments. Looking for a romantic island escape with plenty of strolls on idyllic tropical beaches and peaceful dinners by candlelight, then you should opt for Adults Only hotels in the paradisiacal island of Mauritius. A good hotel much like a good relationship, has that perfect alchemy of comfort and excitement, intrigue and indulgence. The Adults Only hotels in Mauritius has developed a new concept dedicating for lovers in a serene, intimate and cosy environment where everything is done to ensure that you spend a deserving moment of two. This type of hotels not only offer child-free environment but equally pamper guests with extraordinary care, extensive activities and entertainment programs, wonderful spa facilities. Since these hotels aren’t spending resources and staffing on planning kids activities or running children and teen clubs, they can create the ideal environments that cater strictly to the needs of adults. As such, guests can be guaranteed to enjoy their vacations to the maximum in peaceful and exclusive surroundings, relaxing with partners or have fun with their friends. 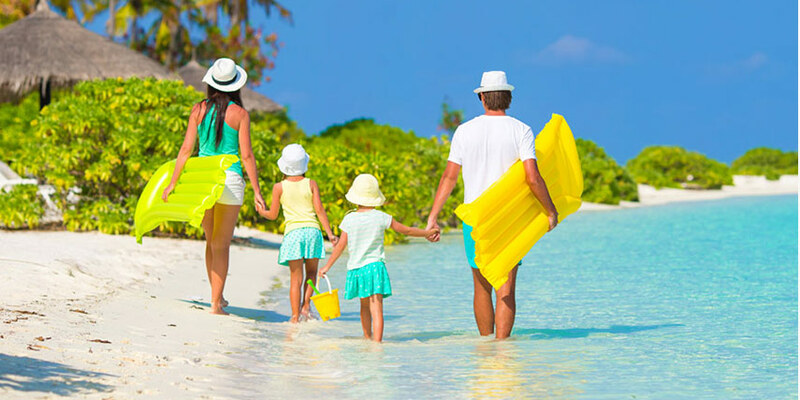 There is no better way to bond with your family than spending a vacation together in a family friendly hotel in Mauritius. The island is in itself a prime destination where you can enjoy the all-year-round summer weather, exotic gardens, beaches fringed with palm trees, azure lagoons, and with a great number of family hotels available throughout the island. Many hotels on the island are going to great lengths to attract families dreaming of carefree vacations. These type of hotels offer special family packages where children can benefit from free stay and meal. They are geared to provide the best facilities and amenities such as baby cots, baby-sitting facilities, shallow pools, special meals for kids, and complimentary kids and teen’s clubs where interesting programmes are organised. There are even some hotels’ spa which cater for teens as well. Additionally, some hotels provide unique concierge service with necessities such as milk, wipes, and nappies. Besides, its incredible sun-drenched beaches and tropical climate Mauritius has an eclectic range of hotels offering an all-inclusive stay. Spending your time in an all-inclusive hotel is way much better since you do not have to go through hassle of pulling your wallet each and every time. To enjoy carefree vacations, the best option is to consider value for money option, and this is where the all-inclusive hotels come into play. 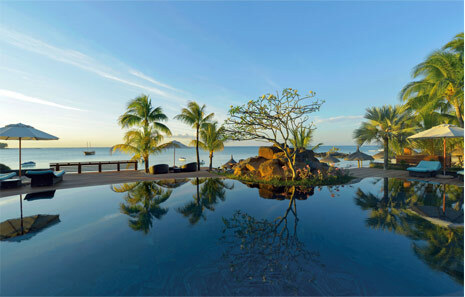 All-inclusive hotels and resorts in Mauritius are very convenient with most costs paid up-front. From opulent properties with lavish amenities to cost-effective retreats with family-friendly perks, all-inclusive resorts run the gamut. With their wide range of restaurants and bars the all-inclusive hotels and resorts bring you a fiesta when it comes to dining; breakfast, lunch and dinner are all catered lavishly not to mention booze-filled bars where you can drink as much as you want. In an effort to appeal to parents, some family-oriented all-inclusive properties offer on-site kids’ clubs with babysitting services. There are also kids specially meal plan at the complimentary kids clubs. In addition, there are some all-inclusive hotels that do the extra mile by including discounts on spa treatments and green fees. And if you are heading to an all-inclusive resort without the kids, an adults-only option can offer a more intimate setting. The next step of your wedding is the much-anticipated honeymoon that you have always dreamed of. After the stress of planning a wedding, all you can envision is an exotic cocktail in your hand and sand between your toes with your beloved one sitting besides you. Wishing for a paradisiacal location, lying on the sun soaked beaches and ocean breezes brushing over your face is undeniably a once in a lifetime honeymoon trip you can imagine. Mauritius is a popular destination for romantic getaways. While world-class beaches and incredible natural beauty are the perfect romantic backdrop to luxury hotels and resorts Mauritius also boasts a wonderful melting pot of cultures and cuisines. It has no doubt attracted many of the lovebirds around the world to tie their knots over the past few years. There’s everything that starry-eyed lovers could dream of, from long empty stretches of beach to blankets of green forest providing the dreamiest of views. However, while choosing your hotel you need to bear in mind the location, the type of hotel, the special honeymoon packages and suites that these establishments offer. With a little bit of work on your part and some compromising, you can easily narrow down the many options to find your perfect hotel. A newlywed couple can avail wonderful facilities and celebrate their honeymoon in comfort as there are numerous luxurious, Adults-Only and boutique hotels that offer elegant suites dedicated especially for honeymooners. Besides, some hotels such as Ambre Resort and Spa go to the extent of offering a bottle of sparkling wine, exclusive gift, and a romantic candlelit dinner once during their stay! 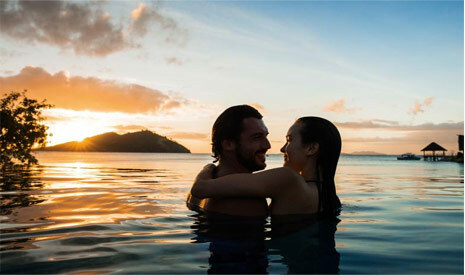 In the same vein, the beachcomber group hotels offer up to 10% discount on their honeymoon packages, where you can additionally enjoys special offers and exclusive gifts. For instance, at the 5-Star Dinarobin Beachcomber newlyweds can benefit sparkling wine & fruits, one tropical elegance T-shirt for the groom and one pareo for the bride, one souvenir gift, and lunch (2 courses) are offered in a selected restaurant if booked on Half Board. It is worthwhile to note that these discounts and benefits are applicable as per the hotels’ conditions. Travelling for business can be stressful and tiresome; especially making the wrong choice can wreck your entire trip and you obviously do not want that to happen. For this reason it is highly recommended to consider very important points while looking for the appropriate hotel for your business trip in Mauritius. Business travellers will undoubtedly consider using their time efficiently. A hotel which is not too far from the business venue, ideally in the capital, or near the airport is advisable. Important points such as complimentary shuttle services, complimentary access to internet, rendez-vous point for your business meetings will be crucial while choosing your hotel. In Mauritius there are hotels located near the airport, in the capital city and at the Ebene cyber city prioritising in savvy design and digital tools with fully equipped conference rooms. Additionally, they are located with the direct access to the main motorways which facilitate travelling in and out. 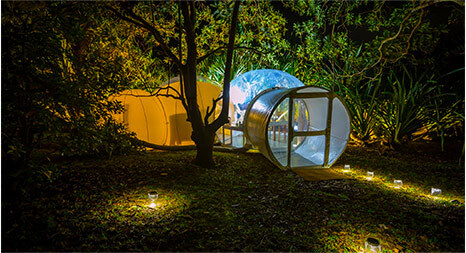 One of the ideal means to connect with nature is to spend your holidays in the eco-lodges away from the city buzz and pollution. 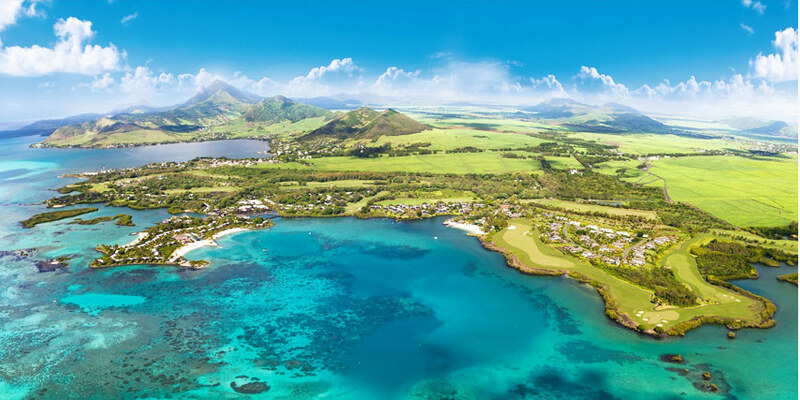 Mauritius being of a volcanic origin is blessed with top magnificent craters, waterfalls, lakes, mountains, valleys and caves where the geological wealth is still protected. If you are a backpacker, traveller or a tourist looking to spend some quality time in an off-beaten track retreat, then consider Mauritius as the destination of tropical, luxuriant eco-friendly lodges for your upcoming vacation. The concept of eco lodge in Mauritius has especially been designed to cater for a sustainable and yet very comfortable stay, where you can contemplate panoramic landscapes made of lush forests, mountains, valleys and waterfalls. You can choose from different types of eco-lodges such as: bubble lodges, rustic tents or cabins, eco guest houses, tree lodges and self catering cottages which are pretty much available in secluded and verdant natural environment. These innovative retreats are committed to conservation - with the added value of cultural sensitivity, isolation, and, of course, style. Being green has never been so appealing. Most of the eco-lodges have facilities such as restaurants, swimming pools, free wifi, and a range of activities. You may have the chance to get indulge in some activities such as: kayaking, stand up boards, swimming, and mountain bikes. The eco-lodges in Mauritius are ideally located in secluded areas surrounded by an exquisite nature where you can immerse yourself in a pure relaxing realm. An earth-friendly getaway can be tempting especially if you are seeking a break from your stressful routine life, and the thirst to witness the power of Nature.